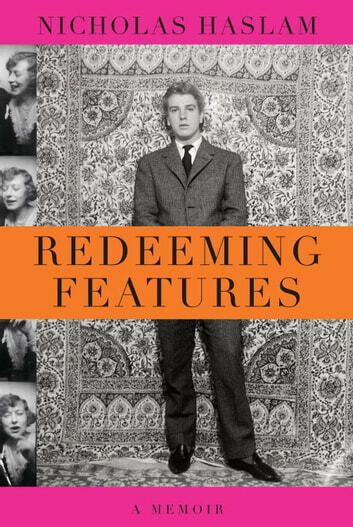 From British interior designer Nicholas Haslam, a dazzling and witty account of a frenetic and full life—from the 1940s to the present—in Europe and America, in a crowd of friends and acquaintances that includes virtually all of the cultural icons of our time. Haslam has found himself at the center of some of the most interesting circles wherever he is—at parties, opening nights, royal weddings. In London in the late 1950s he crossed paths—and more—with Cecil Beaton, Francis Bacon, Diana Cooper, Greta Garbo, Lucian Freud, David Hockney, David Bailey, and Noël Coward. A time living in the still unspoiled south of France was an education in everything from the work of Buñuel to the style of toreros like Dominguín and Ordóñez. In Paris he met Jean Cocteau and Janet Flanner, and, in Saint-Tropez, danced with Brigitte Bardot. In the 1960s, in New York, he encountered Dorothy Parker, Cole Porter, Andy Warhol, Jack Kennedy, Joan Didion, and Marilyn Monroe while working in the art department at Vogue and later as art director, following Henry Wolf, at Huntington Hartford’s Show magazine. After Show, Haslam moved to a ranch in Arizona to raise Arabian horses—Truman Capote and John Richardson, among others, came to stay—and he began designing and commuting to Los Angeles to decorate for the stars. Back in England in the 1980s, he worked on David Bailey’s Ritz magazine, attended the wedding of his cousin Diana Spencer, and designed for everyone from the financier James Goldsmith to rock star Bryan Ferry. Redeeming Features is about much more than documenting a life among the celebrated and the eccentric: it is a vivid, at times humorous and moving portrait of a way of life that has all but disappeared. Haslam has an exacting eye for the telling detail and his story is a compelling and wholly fascinating document of our times.